Created and organized by the HerbDay Coalition, an organization of five non-profit groups, the holiday encourages people to learn more about herbs and use them more extensively in their daily lives. The holiday, which first began in 2006 in the United States, brings together herbalists, gardeners, manufacturers of herbal products, culinarians and home cooks, and the general public. It attempts to spread knowledge about the medicinal, culinary and cosmetic benefits of herbs. Botanically, herbs are green parts of a plant that are used in food, medicine or as additional flavoring. They are usually leaves and can be used fresh or dried. Herbs are distinct from spices, which are usually dried or processed non-leafy – seeds, barks, roots, or stems – parts of a plant or a tree. People around the world use herbs for cooking and for medicinal purposes. Some cultures consider herbs as having spiritual qualities and extensively use them during religious ceremonies. In India for example, basil is considered to be a holy plant and is worshiped in many parts of the country. 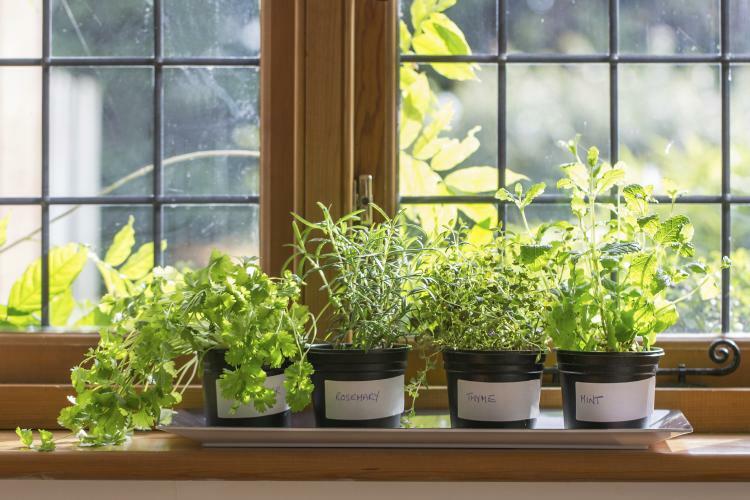 Start a small herb garden in your kitchen – herbs are easy to grow and they will make your kitchen smell nice. …that some people perceive the taste of cilantro or coriander as being soapy and like eating bugs? Studies have shown that this is because they have a special olfactory receptor gene called OR6A2, that makes them sensitive to the aldehyde chemicals found in the herb. Participating comic book stores give out free comic on Free Comic Book Day which is celebrated annually on the first Saturday of May.